POWELL RIVER, BC – Townsite Brewing has announced the continuation of the Alpine Series – a series of beers inspired by the outdoor recreation surrounding the brewery’s community of Powell River – with the return of a beer previously available in an earlier series. 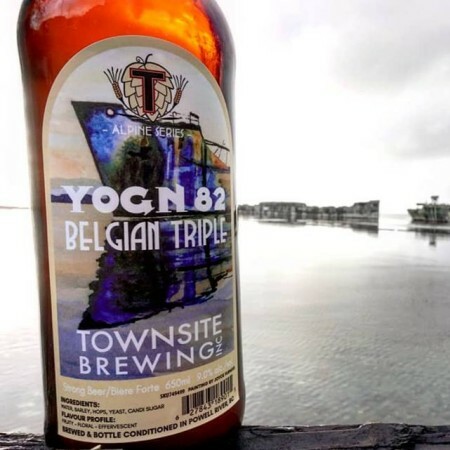 YOGN 82 Belgian Triple (9% abv) was originally released in 2013 as part of a set of beers inspired by The Hulks, a group of decommissioned concrete ships that make up a floating breakwater in the Powell River near the brewery. YOGN 82 is available now at Townsite Brewing and select private liquor stores while supplies last.